There has been much talk of a new Political Party being established in recent Months. The idea has been branded ‘The People’s Party by the media. But whatever it might turn out to be, coming from the same old, same old world of British Politics as it is today, this name would be at best misleading, because the Public would simply be getting more of those same old things. To be a genuine people’s party or party of and for the people, any new or reformed political grouping wishing to live up to the expectations of this title, will have to consider, address and deliver on a number of very difficult, but nonetheless key things. For a genuine people’s party to be successful, their work will not just be about policy alone. A real people’s party will be all about direction, principles, adaptability and always being mindful and accommodating of the real needs of all of those who form the entirety of the UK population. The place from which all UK Politicians draw their responsibility through the Vote. Here follows an overview of the key areas where a real people’s party would have to focus its efforts if it has the genuine intention of rein-franchising not just the people that any one party would focus its call for support from, but for every one and every part of our entire population. Each and every Member of the UK Community – one and all. As I write in mid October 2018, UK Politics has been taken over by Brexit. Everyone in politics is obsessed with their own ideas and plans, and their interpretation of what ‘Brexit’ actually means. Many of the political class are simply too busy to see how they have become completely detached from their responsibilities to the Electorate – that’s doing what is right for people like you and me. We, the normal people outside of the Westminster, media and the political bubbles, feel completely disenfranchised by everything going on around us. We feel detached from what is going on not only at National level, where we continually find the news and social media out of touch with how we feel. But at local level too, where we are increasingly seeing public services slashed and decisions made by local councils and public service providers that are completely out of step with how we know things should really be. We have a Conservative Party in Government, but not ruling. We are led by a Prime Minister who has no idea how to lead. The Prime Minister is surrounded by a Cabinet of ambitious Ministers who will not put the Country before their own desires to put off governing properly until a ‘safe’ opportunity comes for each of them to launch a campaign to succeed her. We have an Opposition led by a dangerously idealistic Marxist, who gained the Labour Leadership on little more than a whim. An anachronism of a time gone by, this is a protest politician who by doing little more than romanticising the values of a philosophy that talks the talk but only delivers pain, has changed the face of the political possibilities. We witness complete incompetence given credibility, and by some very unfortunate mix of luck versus misfortune, a career-backbencher has found himself in perhaps a once-in-many-generations position where the failures of others could see him make the once ridiculous reality and achieve an electoral win. The answers coming from within the political sphere and the Establishment itself, raise even more questions than they answer. On the one hand, there is the call for a Referendum on the result of a Referendum which was very clear in what it means. A new Referendum seeks to overturn that result. It’s not sold as that, but that’s exactly what it means. And then there’s talk of a new ‘people’s party’, being born from the ‘centre ground’. The current or portrayed realities of a self-centred collective, constructed of all of the Political Party’s disgruntled Remainers. A place where the arrogance of a noisy few, set against the genuine will of the people, is manifested in the belief that all they need to do is rebrand themselves to be perceived as being different – yet a process which they are likely to pursue. Politicians have completely lost sight of why they were Elected, and what the role of being a Representative of the People actually means. The British Political System is completely broken. It is filled with people who only understand their own words and meaning. The System is currently incapable of responding to the change that we all need from politics, so that its not just the Politicians, or the Political Parties, but all of us who are experiencing a real ‘win-win’. The Remainers or ‘centrists’ considering that break away from the Political Parties that only serve their own needs when they are themselves winning, are certainly correct about one thing. They are right that there needs to be a new political movement. What makes them wrong, is that a new political movement needs to be all about change. A new political movement needs to be very different and not just something else based on the kind of politics that we are all so very fed up of. Rehashed and rebranded, with the same value set and basically the creation of self serving politicians, in their own image, and created only for the purposes of allowing them to win. Whilst we are seeing lots of arguments, gestures and words about being different, the people in power now have lost credibility. They need to rethink the way that they see the worlds of the people they represent from a very different vantage point. They must accept that the ambitious but necessary task of changing the British Political System is now very unlikely to be the kind of change which can come from within. We don’t need any more of the same. We don’t need the same politicians doing what they have been doing all along, rebranding their ‘new look’ as being different, when its all about them, the people who support them and gearing every decision towards winning the next election. There is already so much work to be done to address all the mess they have made since the last one without stopping for breath in between. We certainly don’t need the creation of a new ‘people’s party’, only constructed from the Politicians and ideas that already exist. Yet another ‘club’ for the select few, created only to convince the majority of the British People through subterfuge, that when they Voted for a clean Brexit, they were wrong. We need a new political movement that cuts across all of the political divides. That crosses the perceptual barriers of politicians who have become bogged down with political philosophy, with tribalism and forgetting what working for the people is actually supposed to be about. When Politicians are thinking about everyone, there is no left. There is no right. There is no centre. There are no extremes. There are just a great many different people, experiencing very different lives, with the genuine expectation that Politicians will rule and create policies for the benefit of everyone, rather than getting bogged down with ideas and focusing only on each and every divide. We need leadership that understands the people that it seeks to lead. Decisions made which are respectful of all the realities which underpin the diversity of all our life experiences. The creation of thoughtful and intelligent policies that consider the overlap with all others. Recognition that addressing the causes of issues as well as the effects of them is the way to ensure fairness and success in public policy – The just aim upon which all political priorities should be founded and underpinned. We need Politicians to get real. To get with a completely new script. To embrace a change which is not of their own making. 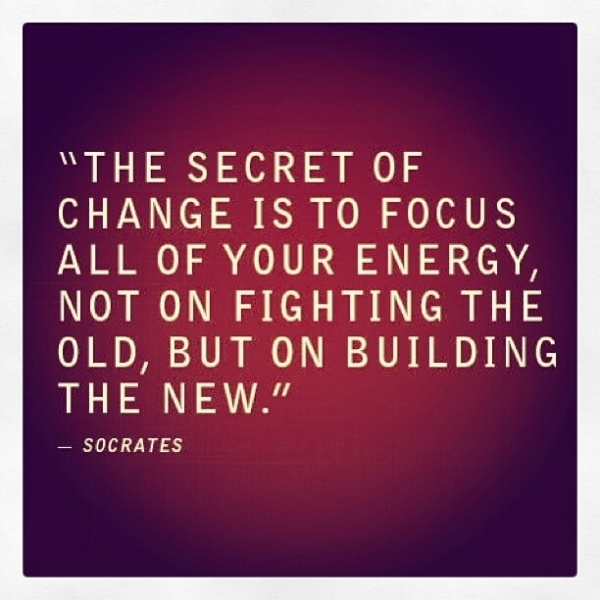 Change that is not top-down in its thinking. Change that looks at reality from the grassroots up as the basis of affecting a real positive and cross-demographic transformation. Above all, we need a model of being, which moves away from the obsessiveness of the political classes to be in control of absolutely everything. An agenda that identifies a direction of travel, a set of aspirations, standards and responsible guidelines to apply to all policy making, rather than getting stuck on every small detail. We require a political system that will inspire and empower public servants to be all that they can be. To do their jobs properly and to not be obstructed by the fear of falling foul of a rights and political correctness. To be mindful that serving the public is not about personal gain, what looks good, or by avoiding any form of real responsibility, and that by deviating into the realms or protectionism and self-service, they will always be disadvantaging the people they serve. To get there, we must be practical about how a real people’s party would have to work and what approach it would need employ to achieve this. To begin with, we must recognise what is wrong, what the fix will look like overall, and what steps must be taken in Politics for us all to succeed. Everything is relative to our experience. Some of us feel like things are good. Some of us feel like things are bad. Some of us look beyond our own experiences; beyond our own bubbles to the experiences of others and to the realities of lifetimes around us, that we ourselves have never had. Whether good or bad, everything we do is connected. It is easy to overlook or be unaware that when we ourselves gain a benefit from something, someone else might be losing out as a result. It’s all a question of distance, whether we perceive that there is a human impact as a result of anything that we do, and whether there has been an impact upon somebody we have time and care about as a result. The interconnectivity of the world today has already introduced significant distance between people, whatever the relationship between them might be. Communication and the rise of the Internet is dehumanising relationships, putting reference numbers and categorisations in the place where simple humanity, care and thought for others and the impact of our decisions up until very recently would have been. When we interact with our friends, families and the people know, we think and behave differently. These relationships are based on interaction. They are real, they are tangible and above all they are human. They require us to employ the code for the people who are familiar to us and that we care about, that each and every one of us has developed as the way to live. But once this familiarity is removed, we overlook the presence of this very same reality for everyone else outside this bubble of our own too. We forget that the need for care and consideration doesn’t just disappear into the ether, as soon as knowing someone personally is one or more steps removed. When we don’t recognise the value of others as being human, we place no value on the impact of the decisions or actions we take that have consequences for them. Whilst modern technology and the diminishment of our communities is accelerating this process, it is nonetheless an age-old mistake to make. Today, this behaviour is being acted out on a grand scale. It has led to the world around us behaving very differently. Far too many people are unaware of how making unnecessary profit or higher wages for themselves personally, is likely to result in making things harder for others, particularly where government or a third party interest like a business is perceived to be a middle man, making it very easy to forget that ‘real people’ are still involved. Many of these self-focused people don’t see the impact or their actions played out around them – so their decisions are only made on the benefit of what is perceived as good or beneficial to them. In life there are examples of this type of behaviour all around us, and it is regrettably all too easy for us to overlook it when it is behaviour of the people we consider close to us, or behaviour of our own. To understand the impact of the unnecessary harvest of benefiting from the plight of others, or profiting without adding value to a product or service, we can cast our minds to one example, where things look different, but are relative and very much result in the same things. Bankers and people working in the financial sector make money by creating debt. They profit from someone else’s misery, and legally too. But they do so because the distance between them and the people they are exploiting means they have no concept or idea that the instruments or tools they create are pushing up prices for everyone else everywhere, causing distress, pain and misery. These two seeming extremes may look different. But the thoughts which drive these actions are relative to the individuals and are very much the same thing. Becoming an electable force is all about creating a manifesto for change. A plan which is real because it has direction and cannot be tripped up simply by mistakes or misinterpretation in the way it implemented or rolled out. Policies themselves must therefore be steps. Not the anchors upon which change itself is rested upon. Policies must be open to change when they don’t work, further development when they do, and be receptive to all forms of criticism too. Policies must also be interactive and made consultatively and with consideration for their impact upon other policy areas, without isolation and being collective in consideration and at every thought. Aims, principles and therefore a genuine constitution are what a real party of the people will need to be secure in its direction, to be certain it knows what it is working to deliver and to be robust and adaptable enough to negotiate whatever terrain and environmental changes it might encounter as it seeks to evolve experiences as seamlessly as possible. Fundamentally, the priorities of a real people’s party must be about the people, being committed to delivering something better for all. Being aspirational whilst also being practical and recognising that in a world built with free will, you cannot jump from where we are to where we want to be without taking many steps, some of which may resemble very different forms and directions on the roadway in between. Aims and Principles are therefore the guiding lights that a real people’s party must use, choosing not to be misled by the devil in the detail, allowing through many forms of misinterpretation and interference for genuine direction to be overlooked. A legitimate people’s party that wants to deliver positive and far reaching change which will achieve real balance and true equality for all, will have no option but to tackle the rights lobby and the infliction of political correctness on almost everything that we now do, see and understand. A real people’s party will also have to strike a balance between the forms of regulation and legal intervention that is required for the greater good, whilst removing the mass of bureaucracy which has not only changed the business landscape, but has been a constituent part of the modification of our culture and behaviours throughout. A genuinely civilised society must have a framework of law to ensure that people are safe and able to thrive. But beyond the basic requirement of ensuring that the right of any one individual or small group should never come before that of the wider community, that freedom should only exist as long as it does not come at involuntary cost to others, either in thought or material deed. However they may be applied, rules should only ever be used when there is practical need. Everything else should be left to common sense, to people taking responsibility for themselves and their own actions, and the real time judgement of an impartial judiciary rather than using case history to create precedents upon which completely different circumstances can be viewed on a basis which is both inappropriate and wrong. Increasing regulation and over regulation leads to decreasing levels of responsibility. There exists a growing cultural phenomenon where regulating everything provides the perfect excuse for participants to see themselves as devoid of personal responsibility for anything they do that isn’t already regulated for. They do so on the basis that anything which isn’t covered isn’t regulated, and therefore isn’t covered by the Law. At a time that so much distance exists between people who are interacting and engaging in relationships of all kinds all of the time, the need has never been greater to encourage and reengage people with the idea that they are personally responsible. That their actions cause reactions and have consequences. That whatever they do or whatever action they might take, just because a law or regulation doesn’t exist to cover a particular act or behaviour, the absence of a rule is not a get out of jail free card and certainly doesn’t make it right. The saturation of regulation that we have in settings ranging from academia to the workplace, covering everything from how we must treat people during recruitment to the rules covering what bankers can lend as opposed to what they must have access to has allowed far to may people in positions of influence to behave irresponsibly, and to do so with impunity, well knowing that they can be seen to be doing what is expected of them by the rules – and that as such, what they are doing is actually right. For a real people’s party to deliver on the aim of creating the kind of environment where people can live on a basic wage and do so without having to resort to getting into debt, or progress in their lives, being socially mobile and cross barriers without interference from people who have their own agendas but work around the rules, it is the responsibility of that party to create the environment where prejudice and greed are voluntarily extinguished, rather than a continuation of coercive attempts to do the same. Brexit offers a significant opportunity to achieve the delivery of an environment where a belief in the good of everyone as part of the wider community exists. Where prejudice is reduced to nothing more than misplaced thought as a reaction to the perception of difference – which in truth is all that it is. Many of the regulations which have created so many of the cultural problems that we are now experiencing in the UK have been introduced as either a direct or indirect result of EU legislation. Nobody should be under any illusion that overturning rules which have been sold as being beneficial because they sound like they improve people’s lives will be easy. Without manipulation or coercion, and by simply doing what is right, people will soon conclude for themselves and understand that no form of positive discrimination is delivered without there being negative consequences, often for many others, on the other side. If rules and regulations are one of the key challenges which will face any truly legitimate people’s party working for the benefit of all people, the other will be addressing the impact, influence, role and perception of money which at one time or another, we all get completely wrong. Within just a generation, virtually every profession you could name has lost its pure focus upon ethics and quality of delivery. The lines have instead been blurred for many operating within them by a juggling act between what is expected or what is considered ethically good, and how much money can be justified for doing what they do. This is part of a fundamental problem for our wider Society which is closely aligned to the issue of the meaning and application of ethics itself. However, it is also influenced by the lack of control and regulation on profit making from Government. Inaction which has also resulted in the growing presence of agents or brokers introducing themselves needlessly into supply lines, raising profits but adding no value as they do so. This whole sorry affair, based on an obsession with money is having a significant effect on the cost of living for us all and is making it virtually impossible to create an environment where a genuine living wage could be identified and then maintained. There is nothing wrong with wanting to do well. To have a good life and have the money necessary to allow that to happen. But seeking far more than you could ever need for your own comfort only contributes to sucking money out of the system. It raises all costs for everyone else who instead of hoarding, are no longer in the position to pay for what they have been used to having already, let alone being in the position to enjoy any more. It is the prices at the top of the chain which set the financial values on life at all levels below and there is more than enough to go around. Ethically, the drive to earn ridiculous amounts of money has been facilitated by the lack of regulation on a financial sector which is legitimately allowed to print its own money, creating profit from misery as it would be known if it were viewed directly in a non-monetary form. Lenders and the sectors or industries they support push many normal people into debt by taking value out of transactions where it doesn’t exist, whilst using money that they never themselves ever had, and then push the same people into other forms of debt just so that they can service, or obtain whatever their diminishing salaries now fail to provide. The financial industry and the sectors which are aligned with and support it are now farming people for debt. This is a legitimate racket which must be closed down and de-sanitised by a party which is really working for the people, which respects the benefits of capitalism and growth, but in legitimised forms and not are simple forms of one person making profit by exploiting and riding off another persons back. As soon as the word ‘politics’ is mentioned, you will have surely experienced that internal jolt that reminds you where your political loyalties lie. Many of us are conditioned in our political biases by our upbringing. By the people we mix with and ultimately by the environment that we work in. These are all influences that help us to decide which political direction we are likely to target our votes in. But how much do we really understand about the political philosophies which underpin key Political Parties like the Conservative, Labour and Liberal Democrats? How much do these ideas really influence the Parties and the way that they are run and what they do every day, rather than being just forms of words that they can use as a backdrop, or more cynically just as a message they can role out at Election time in a blurb which is designed to help them win? The reality is that the philosophies which underpin, Conservatism, Capitalism, Liberalism, Socialism and regrettably Marxism too, are not practical plans for running a Country or putting problems right. These ‘Philosophies’ are simply ideas which are based upon the outlooks of very academically inclined or theoretic people, created within very different periods of history and circumstances that are nothing like our own, and in almost every case were idealistic prose which had no understanding of the practical outcomes of applying or imposing them by law in real life. A good example of how a very basic situation can be completely skewed and effectively rewritten as something completely different comes in the form of the European Referendum Vote, which by a majority gave the instruction to Government, that the UK was to leave. Within a matter of days, and after the coining of the term ‘Brexit’, what was a direct and simple instruction had morphed into ‘hard’ and ‘soft’ forms, as the Establishment, the opinionators and the thinkers attempted to create meanings which had never before existed, simply because they were motivated to find another route which would suit their own aims. One which they could sell as being that of others, well knowing that their own plan had never been meant by those others as any such thing. We can learn much from reading and understanding the works of people like Adam Smith, Keynes, Marx and John Stuart Mill. But their writings were just a snapshot, and not a blue print for implementation in another era and time. Like all academic work used responsibly, these writers inform, guide and help with practical application. But these writings are teaching tools. They are very much open to very different forms of interpretation in how they might or could be used in practical plans and should not be considered as either a blueprint or process. They are a resource, nothing more, and there is no benefit beyond. As we look across the political platforms, and consider what ideas and motivations lie within them all, we can soon start to see that there is much commonality in the depth and background of thought. It is just the language used and differing communication, wrapped in tribal dress which can encourage us to love a certain perspective of an idea or a policy, which presented differently by others would provide us with nothing to which we wish to respond. The Political Party System in the UK today has driven wedges between all of us, because Electoral success is derived from the politics of difference, not in working together and using what we actually have in common between all of us, which could in turn be used to deliver something meaningful for all. To be successful, a new Party of the People would recognise and embrace the true forms of commonality between all of us. By establishing itself on the basis of what has already been identified as the difference between the ideas that drive it and other existing Political Parties, no matter where in the political spectrum they are perceived to exist – whether left, right, somewhere in the middle or out on the extremes, they will immediately fail, because the priority is not about people, but the gaps and thin air which sits in-between. Passion and ambition are not the same thing. Yet ambition can be misinterpreted as passion and being passionate in your ambition is essential when its all about getting a win. Politics today has lost its way. Not because the idea of government and public service is any less valid that it ever has been. But because the politicians within politics have forgotten what public service is meant for and what being an elected representative really means. It is regrettably the case that we have reached a point in time where people rarely enter politics to do something beneficial for their communities or the people who elected them. People don’t seek election to a public decision-making body because they are motivated to deliver something better for all. And that’s the way that politics should be, with the only ambition being that everyone should be able to feel that they can win. Politics has become a career pathway, and a system has been created in which the participants are only subservient to the Political Parties which nominate them to represent Seats. Members and the Seats that they should represent are seen as little more than pieces in a jigsaw to the Leaders of that Party, in a game of arithmetic in which the highest sum of seats, rather than the will of the people is the figure that wins. To reconnect people with politics, create engagement and policies which really consider what should be, how it could be and what happens to those not directly involved if it is made to be so, a real people’s party must overturn the current view of politics. A real people’s party must exist on the premise that the politicians that represent it cannot be in politics purely for themselves. They cannot be interested in only making decisions which are beneficial to them, to their careers, or in winning the favour of anyone else they believe will help their ‘career’ and support them to win. Being a representative of the people is not a right and it is not a job. Being a representative of the people is a responsibility and a privilege. One that should only be available to those who can see that responsibility to the people who elected them for all that it really is. A genuine people’s party will be conscious of what it really is. A real people’s party will be a framework to support the work of politicians who are focusing their efforts on working together, not for personal glory or the next electoral win. It will be a support network, there to help committed representatives of the people to deliver hard decisions. It will recognise what it takes to win on behalf of everyone at the end when the objective is reached, rather than losing sight of the big picture and becoming obsessed with the small details in policy battles, which litter the roadway in between. Great politicians and representatives of the people offer the greatest benefit to their constituencies through the accumulation of their other experiences. Through the time they have spent accumulating knowledge of the wider issues around life. In developing the communication and interpretation skills which enable them to explore, to understand and to interpret the experiences of others which they themselves cannot have, and to make reasoned analysis of the many grey areas that sit in between. A genuine people’s party must select candidates for elected offices based on what they can genuinely offer and bring to the party and its way of being, which is to improve the lives of all people and be beneficial to all. Selection should never be made simply upon how applicants present themselves or what they can show on paper as a currency which the shallow minds within the Political Parties of today see as qualification in their own image. A real party of the people will never overlook the true needs of Voters and what it takes a good politician to be representative at all levels. Whether that’s dealing with a constituent who doesn’t know who collects their Council Tax, or managing a fraught relationship with the foreign minister of another country who is demanding that all of us surrender our culture and sense of being, placing our heritage and history in the bin. A true party of the people, must cast aside any process of diminishing the responsibility of new entrants and be mindful of the responsibilities which each politician has to their own respective seat, rather than demanding a level of loyalty which gives the lie to the idea of democracy itself. Compromise is not necessary when motivation and delivery are about what’s in the best interests of everyone, rather than just of those directly involved. Yes, politicians must group together for the purposes of getting things done. But if decisions are made mindfully on the basis of what’s best for everybody, all will be supportive. One of the areas that a real People’s party must quickly come to populate with ethics and guidelines is the online world. Today we live our lives in parallel universes with two totally different sets of rules. But there exists a dangerous imbalance of influence which sees the dehumanised rules of relationships created in the space of distance, back-flowing into real life from the online world. Chaos is the natural state of everything. And when a world of chaos exists in overlap with one which was seemingly ordered, without safeguards being put in place, and through an increasing state of entropy, it is the chaos coming from the other unordered side that will overrule and win. The aims of a real people’s party must respect the way that the world has changed and is changing, but must also shift the cultural perception that the online world has no barriers, because if it does not do so, then no barriers will exist in between. Such an approach would be catastrophic with the ever increasing rate of rise in new technologies which are making contact with everyone and anything very simple. But with currently very little in the form of governance to ensure the safety of all, whilst encouraging developments and growth, we desperately need safeguards and devices which create balance. Very few of the Politicians who currently represent us genuinely understand the relationship that we have with the EU, and what Membership of the EU actually means. There is a complete disconnect with both the history and detail underpinning events right from when and how the idea of a United Europe was created, to how EU Policy and its legislation is created and then implemented right across the Block of once independent Countries that now make up its Membership. Power is steadily being taken away from the people, and centralised not in our capital cities such as Belfast, Cardiff, Edinburgh or London. But beyond the reach of us all in the European Centre of Brussels where democracy doesn’t exist. However, it is not enough simply to rely on Brexit to deliver the level of change which the no vote against EU Membership instigated. Not because its not the right thing to do. It is, but it is little more than just a policy step and there is much more that a party of the people could realistically do. Power must be brought back to as close to the people as it is possible to do so. Not through the creation of additional and meaningless additional political structures such as police and crime commissioners and regional mayors which have already had too much time and must go. But by bringing real power back to County Councils, Boroughs and Districts and to the Towns and Parishes at the most local level, where people can be involved most closely in day-to-day decision making on behalf of our communities, instead of leaving decisions to be made under the umbrellas of polices made in London by people who will never experience the fall out from their ideas, which without practical understanding should be back for determination in our localities instead. Those who argue that the EU is about democracy and people do not understand the affront to real democracy that it really is. Sold as being about peace standards and equality, its true aim is little more than centralised control. Yet the rise of political parties has done much of the same thing too, and this is why Brexit should only be seen as a step in the right direction and that direction must be bringing real decisions that will effect us on a day to day basis back to the level where those decisions can be made by me and by you. If the focus is shifted back to representation of the people, rather than selecting a party machine selling a raft of policies which are only relevant for a brief snapshot of time, First Past The Post (FPTP) will once again demonstrate how it is best suited to the needs of a real democracy. Proportional Representation will only ever suit the needs of people who are only obsessed with getting elected so that they can impose ideologies on us all, and wherever possible without ever having to come to us for a meaningful Vote. Proportional Representation is a travesty and a tool created to work the Political System. Popular only because Politicians are failing us all with policies and ideas that we don’t relate to and which are completely out of touch. A real people’s party will bring power back to the people through genuine representation. Through power being given back through decision making at the correct level and as close to the people as it is practical for it to be. And by ensuring that the best people are elected to represent other people and communities by prioritising the needs of the whole community on an ongoing basis and not by being what appears to be the best choice on one day and behaving like you can do what the hell you like and call it in the best interests of everyone on the other eighteen-hundred-and-twenty-five. A real People’s party will accept that one of the greatest but most meaningful challenges that they will have to face will be the reform public services from top to bottom. A genuine people’s party will need to do this in order to ensure that government always working for the benefit of everyone is not simply another aspiration which can quickly be written off or denied. The executive parts of Government, that’s the Civil Service, the Offices of Local Government and the roles which exist throughout the massive number of QUANGOs* must be refocused, reformed and re-tasked in order for a People focused Party to succeed. Public servants must work within a non-protectionist culture that like the elected offices of this way of being encourages responsibility for others to be accepted as a privilege, not one where public service is treated as a myth, and roles exist as fiefdoms where blame for anything can be passed on to others with no worry about costs, which right now have escalated up into the sky. *QUANGOs = Quasi-non-government organisations. These are the grey-area organisations like the Highways Agency, The Environment Agency and the Food Standards Agency which are jam packed with civil servants undertaking key work on public things, but effectively run without being answerable to anyone democratically elected. One of the key elements of making politics what it should be for a real Party of the People, will be restoring the role of the traditional and main stream media (MSM) to carrying wholly factual news, rather than the overproduction of quasi-news programming which presents unqualified opinion and bias as qualified fact. The assent of fake news as an issue has much to do with the role of the MSM being blurred with the developing role of social media channels where pretty much anything goes. Well known stations have done this to chase headlines and clicks, which itself is more of a reflection of what commercialism is all about. But it is not the responsibility of politicians to play up to this, and any collaboration in news sensationalism must be removed as a key part of the communication platform of a real People’s party so that the definitive line between factual transmission and fake news can be restored. A system where an embargo system allow news channels to consider and even comment on speeches before they have even been delivered and have reached the public domain gives the lie to the legitimacy of the whole thing. The cosiness has to stop, so that full public trust can be restored, and decision making on behalf of the public no longer viewed as a celebrity game. Above everything, a people’s party in government will remember and be mindful of one key thing. That every single person in this country has the same value and is as important as the next. It is easy to become distracted by success, wealth, celebrity and popularity. But these states of experience or being are all transient at best. Their prioritisation leads to consequences for all. Instead of judging the state of society by how people live and therefore influence at the top, a real People’s party will use the benchmark at which those who are experiencing their most difficult times in life, have had their lives defined. Quality of life must be defined from the grassroots up. It’s the metaphorical process of growing from seed to fruit and doing everything to nurture and provide the ideal environment for all who are so inclined. Ultimately, the priority of any genuine people’s party, should be to fulfil the expectations of the responsibility that they have been given, within the timescale which the electoral system has defined. Put simply, if a People’s party Government has a five years term their priority should be the fullest commitment on the delivery of priorities, not the next election and the manipulation of public opinion in relation to everything that happens in between. No matter what difficulties or challenges that a Government might encounter during the period of its elected term, if it is doing everything that it can to meet its responsibilities, its electability at the next election should be a happy consequence as a result of their actions, rather than just being a prioritised and all-absorbing future outcome. 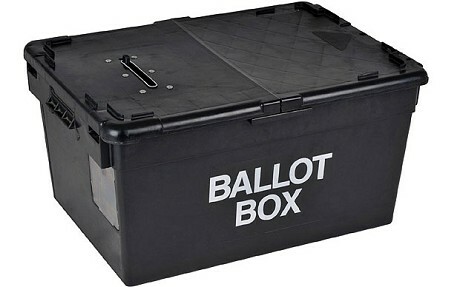 Televised Debates for the 2015 General Election: Shouldn’t we hear from all those who could have power after 7th May, rather than just those who have won an Election before? 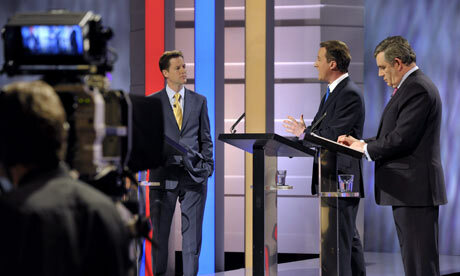 Just a week ago, the odds on Ofcom giving David Cameron an excuse not to enter the pre-General Election TV debates may well have looked pretty remote. Seven days on; one pull of the Green flush in the rules-room of the communications regulator and to some people, that is exactly what seems to have happened. But however hard the PM might argue the moral justification of his apparent support for the Greens, few are buying into the apparent magnanimity of this gesture, even if for other reasons, he may unwittingly have a significant point. The reasoning behind the decision to preclude the Greens and the smaller Parties has been based upon polling and previous electoral performance. It is a decision that would work favourably well if we were all looking to maintain the status quo, and only concentrate on the ‘establishment’, which itself now apparently includes UKIP, a Party that will arguably be assisted in fighting this Parliamentary Election on the basis of their electoral successes in Europe alone. Polling does indeed seem to have become a science and dismissing this branch of statistics and the benefits of its use would be foolish however you might feel about it. However, polling is based upon people’s responses to questions regarding information that those people have about a situation, circumstances or what they are experiencing at that exact moment in time. It is little more than a snapshot and not one which can accurately predict how those same people would behave or react if they are given what they genuinely consider to be different options, or they find themselves having had an experience following the poll which would change their mind about the choices that they have. All well and good if you are a ‘national-election-winning’ political party. But we are reaching the end of a 5 year Coalition Government, which came into being simply because none of the Parties running in 2010 with a chance of winning offered a platform which gained a decisive response from the public. So when polling itself suggests that we are on course for the same, or perhaps an even greater dispersal of Parliamentary Seats amongst Parties, should it only be those same Parties, that by default then become the predominant members of the planned political telethon which could well influence the outcomes for our future? The elephant in the room that political expedience fails to recognise was that in 2010, people didn’t feel convinced by the choices that they had. Voters didn’t anticipate a ‘hung parliament’ and very few would have been hoping for the final outcome, even if those who follow politics more closely will have seriously considered its probability as an outcome. Whilst the Liberal Democrats paint this as being a choice, the unintended selection of indecisive Government burdened by compromise, arguably just because it suits the interests of the Political Parties who have most to gain, doesn’t really reflect upon putting the best interests of the Voting Electorate first. Further compounding the ineptness and arguably self-serving nature of the decision by then introducing minimum 5 year Parliamentary Terms has not exactly given anybody else the feeling of legitimacy that was obviously intended either. People want change. Voters want choice. The Electorate wants to see and understand the differences between ALL of the choices that are on offer. With this in mind, it would perhaps be the case that the fairest way to select candidates for a televised debate would be to wait and see how many candidates have been accepted to represent each Party within Constituencies, and then in turn whether the number seeking election could form a majority Government if they were all elected. In 1992, the Natural Law Party gained national exposure by fielding enough candidates across the Country to trigger access to Election Broadcasts. Yogic Flying may well have added an element of intrigue for some and outright comedy for others. But it certainly gave a televised forum to a Party that at the time could have painted a very different picture of Nineties Britain if they had collectively been elected to a position where they either held, or could influence power. It’s a bit of a stretch in terms of what we might consider a likely outcome to view small Parties as contenders to form a majority Government on May 8th. But on the other side of this two-edged electoral sword, UKIP were of course never supposed to have won 2 Seats last Autumn, and the numerical requirement to get David Cameron or Labour‘s Ed Milliband in to No. 10 could turn out to be a lot less than the 57 Seats that the Lib Dems added to the Conservatives biggest-party-with minority-status last time around. The truth of the peculiar political reality which may follow this General Election is more likely to rest in the hands of Nigel Farage (UKIP), Alex Salmond (SNP), Leanne Wood (Plaid Cymru), Natalie Bennett (The Greens) or perhaps even them all, than it is with the existing mainstream Parties who are not even trying to sound different in the way that some of their smaller competitors certainly are. On this basis alone, and knowing the havoc that could be inflicted by the trade-offs that might include a black and white, in-out referendum on Europe; greater steps towards the independence of Scotland, or even the scrapping of the Nuclear Deterrent at a time when World stability is far from secure, should we not really have the opportunity to listen to what the potential kingmakers really have to say? Getting a true glimpse of the true nature of the respect that our politicians have for us isn’t an everyday event by any means. Yet recently, we have been treated to a series of insights in to the way we are all viewed by the people who either do, or soon hope to govern us. It doesn’t make particularly happy reading. The fairytale halving of the £1.7 Billion bill from the EU and the Parliamentary vote on the European Arrest Warrant that never was, were both perhaps very telling of the way the current Coalition Government does its business. But it was the comments from the Labour Party following Ed Milliband’s workout with Myleene Klass on the ITV’s ‘The Agenda’ on Monday night which may have represented the lifting of a much bigger stone. Watching the programme made good viewing. 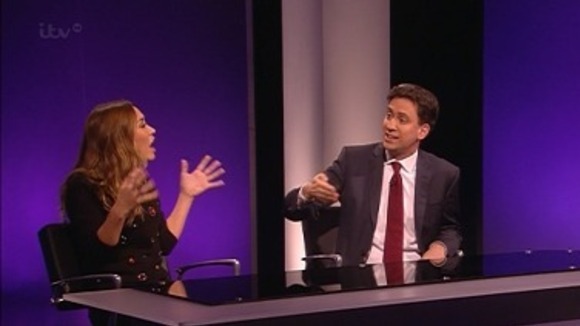 We rarely get the opportunity to see the kind of challenge which Myleene made, telling Ed why Labour’s Mansion Tax Policy isn’t going to work and effectively showing the whole idea up for the hollow, headline-grabbing and socially-divisive-pigeon-holing stunt that it is. Apparently unable to deal with the broadside at the time, Tuesday morning not only saw a belated attempt by Ed to try and turn it around with a parody relating to Ms Klass’s time in the Band Hear’Say; it also brought comments from the Party suggesting that she had failed to show Mr Milliband respect, and also tweets from a Labour MP apparently suggesting that she should leave the Country. All well and good to demand respect if you have actually earned it. But these guys all seem to think that being an MP is qualification in itself. Isn’t it right that we should have the right to question what they do? The fact is that the UK is in the perilous state that it is right now, in no small part because of the inability of Party-affiliated MP’s to safely ask the kinds of questions or make points of this nature without fear of reprisal from their Political Parties. Ed Milliband may well walk in to 10 Downing Street as the next Prime Minister in less than six months time. But if Labour will not accept the legitimacy of questions which show the lack of thought and consideration which has obviously gone into their policies now, what hope will there be for us all when they start to enact them?